Posted on February 17, 2015 by Kat, aka "ArtyKat"
It is snowing like crazy! We are in a major winter storm. We are supposed to get 12-14″ of snow! It’s just a little after 10:30 in the morning and is already so horribly unsafe that my Personal Care Aide (PCA) couldn’t even stay– she came and brought some provisions and left. Our biggest concern is power. We just can’t without power since I’m on oxygen, but power outages are very common in bad weather. And snow isn’t the only problem! There are sub zero wind chills and single-digit or teen temperatures – and that’s in the daytime. 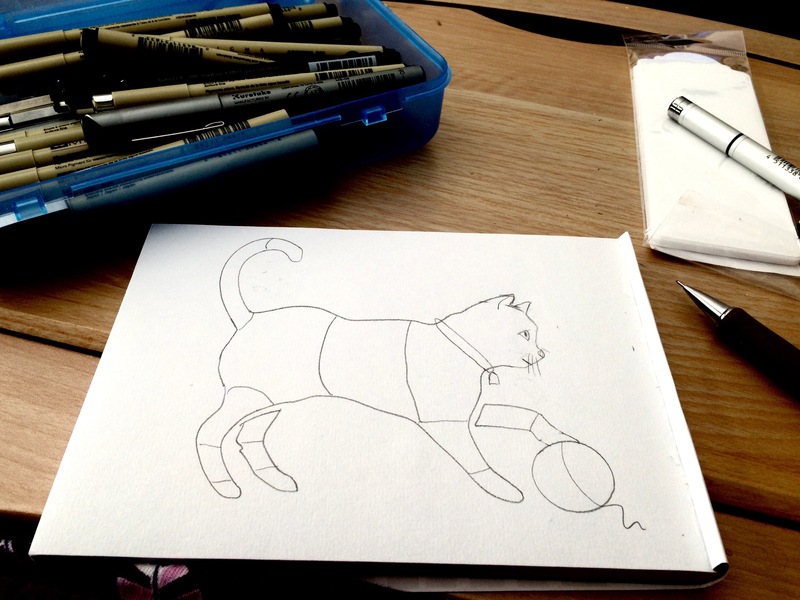 I did finish some more tangling last night: it is a kitty. I also started a new one of a snowflake shaped Mandala. I totally messed up the snowflake, so I’m going to start another. It was impossible to fix because I was doing a mandala and well… Just trust me. But, it was great practice. Then I filled it in the way that felt right. 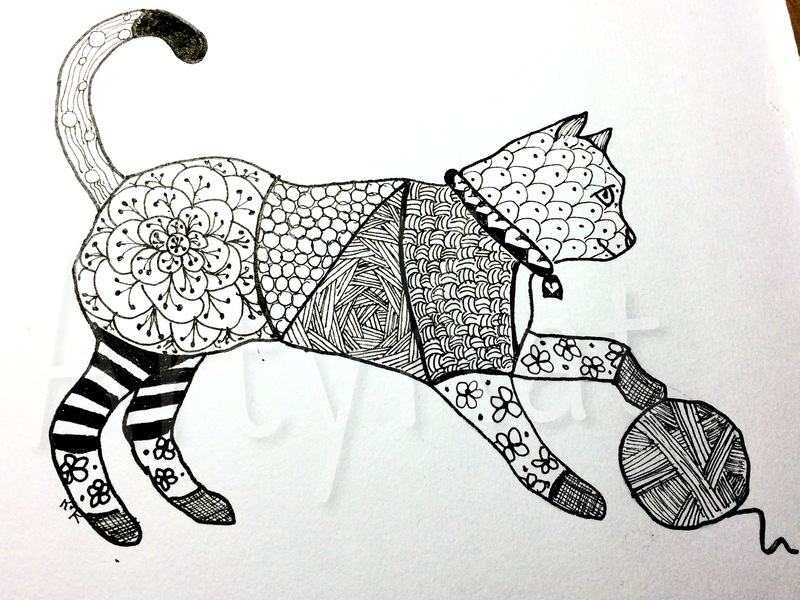 This Tangled Kitten is 5×7″. If you notice, her collar has hearts ✨💖💛💚💙💜✨ on it. All my work will have a heart (at least one) on it somewhere. It is still snowing- at 11:30 PM the news said we had 11″ so far and would snow all night. The poor ladies (2 small dogs- Bella and Meesie (Mimi first but evolved) are having a terrible time doing what they need to do outside- the snow is taller than their backs! I was approved by Etsy to change my store name so now it is HeART ️Tangles Studios. Now I need to post items. 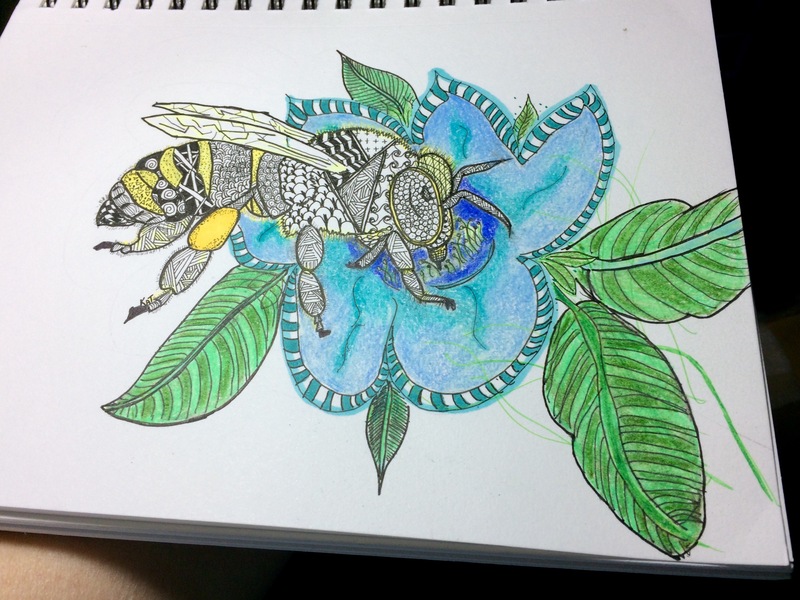 Oh, by the way, I called the framing place (Jan is the owner) and my bee pictures never got displayed, so obviously they haven’t sold. They are framed though. She will display them for sale until I sell them on Etsy, here, or in her shop. 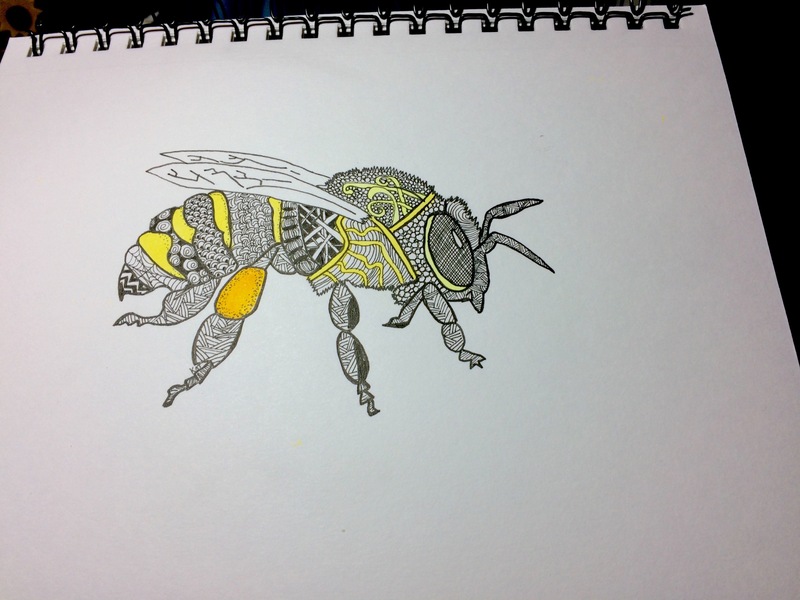 These are the drawings, except the single lone bee wasn’t finished. Enter your email address to follow Kat's blog and receive notifications of new posts by email. Random things from a random person.